It was the Conwy boatshow in the Conwy marina. We arrived early 08:15 at the boat, expecting a lot of traffic for the boat show and problems parking. However, there was not enough water to leave from the jetty and we pottered around to arrive 09:45 onboard. We walked to the marina and paid £20 to get in (2 adults, one child free). 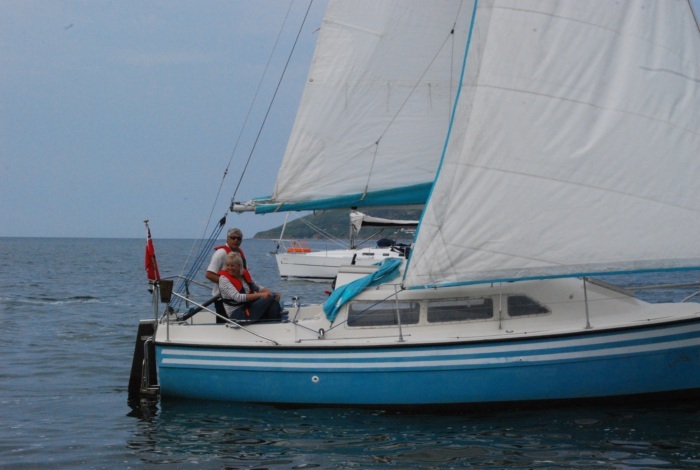 It was a good opportunity to have a look inside several 2nd hand boats for sale and saw a nice Benetaux 30. Bit pricey at £44,000 though. We also had a look around on some very expensive motor yachts, which interior far outclasses our home, leave alone the boat. We motored up to the fuel jetty to get water and use a power dril to mount the new chart table. At 12:20 we motored past Conwy marina were the RLNI was reviving a casualty jetskier, in a demo gone wrong. Out in Conwy bay we sailed in the little wind and practised man-over-board. 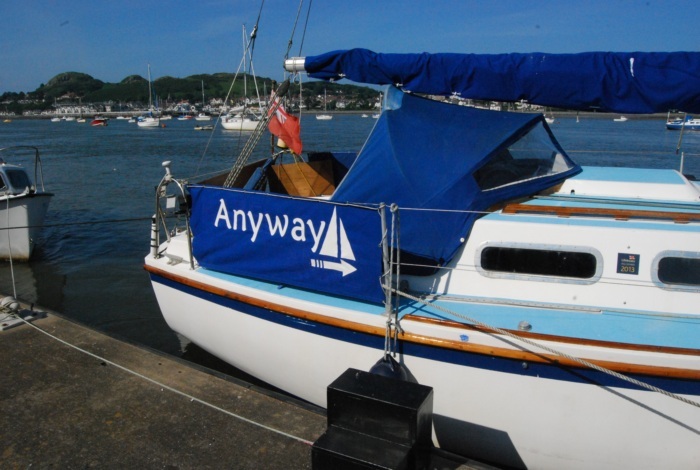 We sailed past Jean and Martin (Paxi) and Andy Rowbotham and Robert who were trying out a new boat.